The container is 4′ wide by 6.5′ tall (roughly the size of a refrigerator) and it holds about 40 bags. 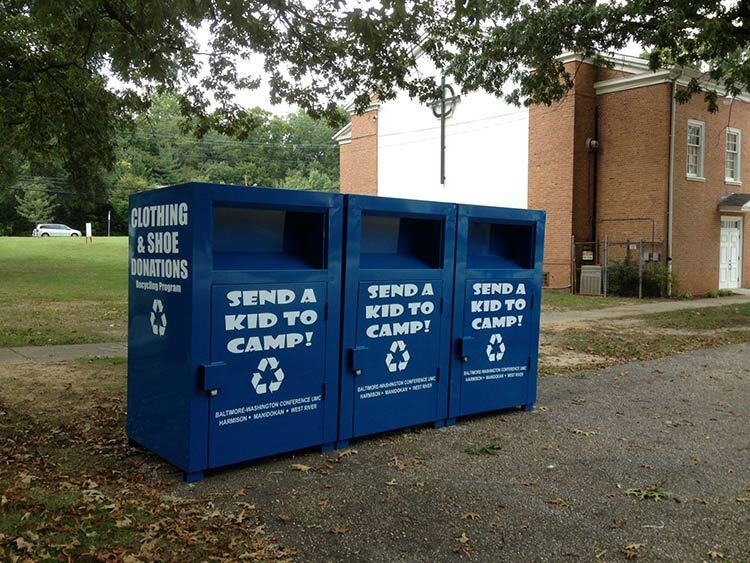 Generally, more active churches will often end up requesting more than one bin to handle the influx of many donations. Often our partner churches will give us a call and let us know when they see their bin/s are full. We’ve never charged to empty them – that’s just a part of our service.